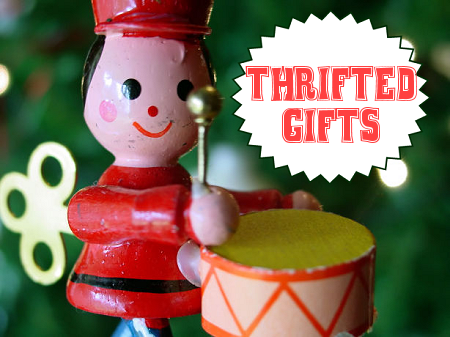 Are You Thrifting Next Year? 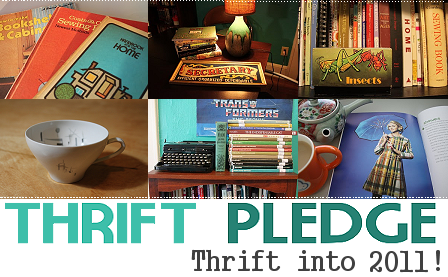 Take the Thrift Pledge! 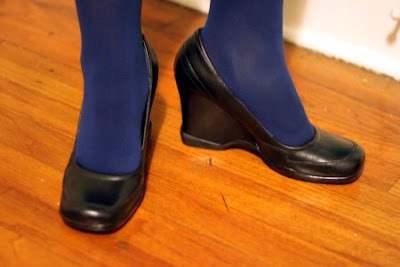 Are you taking thrift to the next level in 2011? 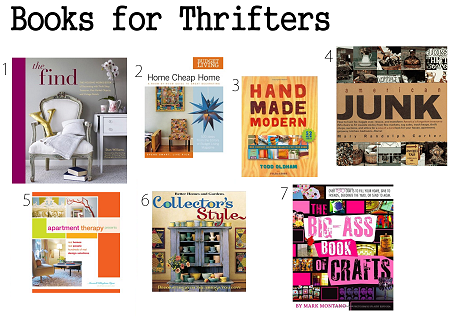 Do you plan to continue thrifting, junking, and hunting? 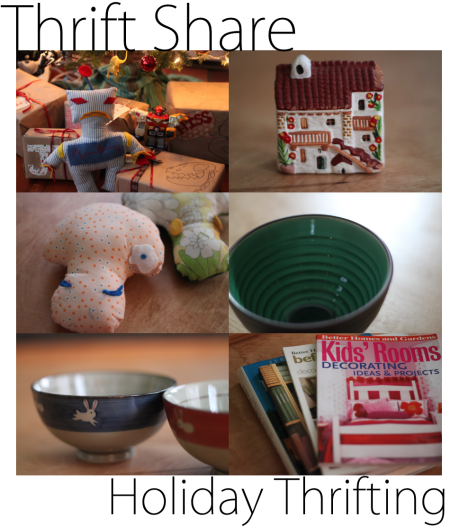 Take the Thrift Pledge with me! It's easy, just pledge to be more thrifty in 2011. 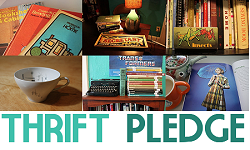 Add one of the Thrift Pledge Buttons to your blog by copying + pasting the code in the boxes. 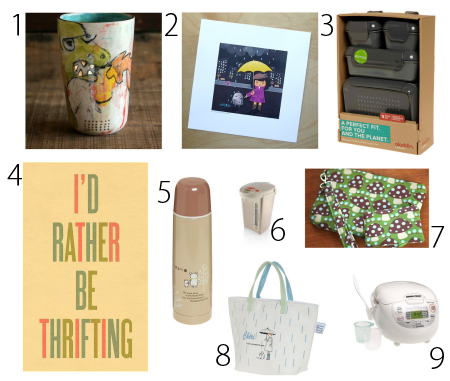 What are YOU doing to be thrifty in 2011? I'm taking my thrifting to the next level by 1) buying nothing new (with a few necessary exceptions) 2) not buying clothes 3) only buying the lowest deals from estate/yard sales. A new year, a new opportunity to pen your thrift wish list! What do you hope to find while thrifting, junking, and hunting this year? My wish list stays much the same as what I wrote in November, but with a couple of changes. Bowls, broke my last mod ones; sad. I always hunt for inexpensive quirky art, practical vintage storage bits, and anything too bizarre to leave behind. Like the rest of you, I don't limit myself to the list. Instead, the list represents practical items I'd love to find and use. 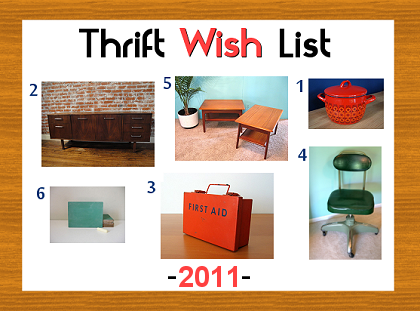 What will you thrift for in 2011? *By The Way: You're still tagged. What are your new years goals for 2011? Join the conversation. It's time to tie up 2010's loose ends. What short-term goals for the New Year can you accomplish this week? For me, it's organizing. I spent my entire three-day weekend cleaning, purging, and organizing. I'm going to keep going hard at it for the next three days. 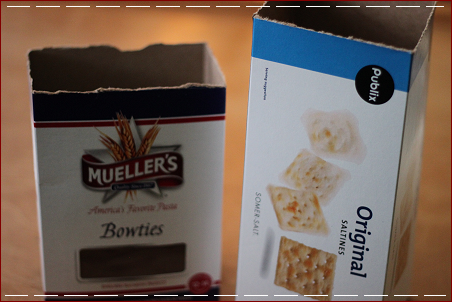 - Empty all of the space's contents into a box. - Place only the things you use regularly back into the area, and donate what's left in the box. 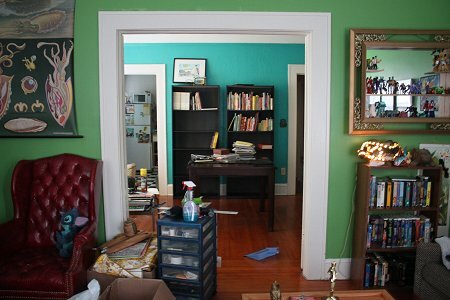 Last week I did what you should never do- empty everything out of every closet and work from there. I spent the whole weekend clearing out the chaos. It's a way to get things done in a weekend, but I spent nearly the whole weekend working on it! Not fun. It's easier and faster to focus on one small section at a time. Anyone else organizing for the New Year? What are your tips? They adversely affect the waistline, but it's tradition to take in enough calories to nurture love handles the size of logs; embrace it! 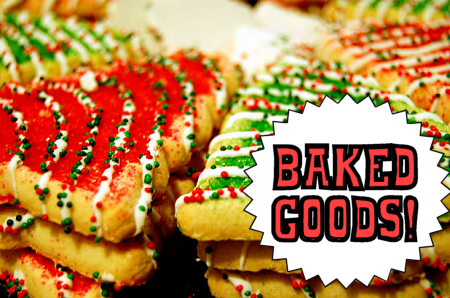 Baking a huge batch of holiday treats is a great way to gift friends for a low price. I'll be back on Monday with New Years themed Thrift Core content. (I'm so damn excited about having a day off tomorrow!) I hope everyone has a happy holiday! If you own a shop that offers gift certificates, I'd love it if you left that the shop in the comments to help last-minute shoppers! 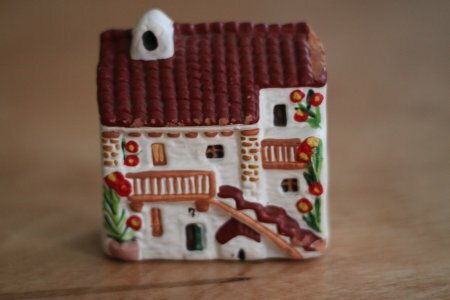 Is it OK to Buy Gifts from the Thrift Store? 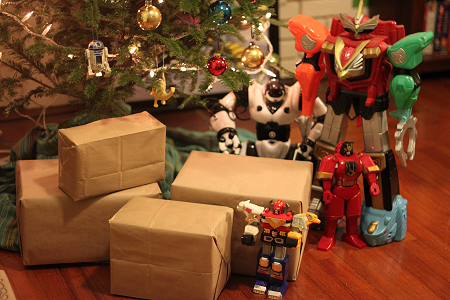 Anyone else have some last-second gifting & wrapping to do? Out of time, last second shoppers? It's better now that never. 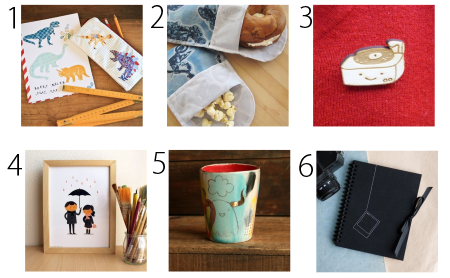 Since there's not much time to craft or shop for goods now, here's a few of my favorite online picks for our thrifty kind. Going with my Useful Gifts theme of the year I tried to select somewhat practical gifts. 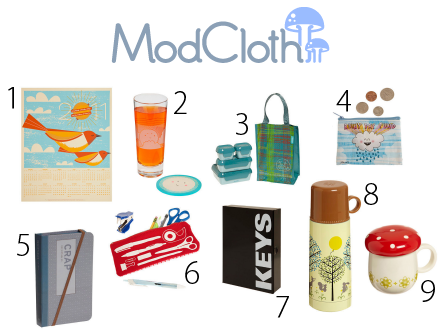 Surely you've heard of Mod Cloth? This website's selection is catered to thrifters. 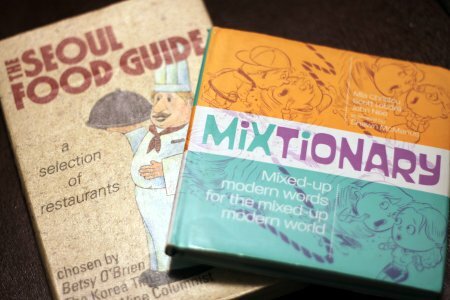 Within you'll find everything thrifters seek: quirky/kitch items, vintage and vintage style bits, art/design books, and mod design. A La Modern has an excellent selection of unique mid century modern designs. I'm impressed by their knowledge and dedication to preserving relics from this unique era of design. They specialize in vintage housewares and home decor. 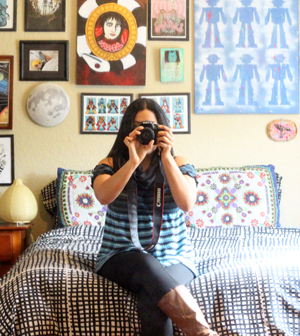 Paper 'n Stitch is an online exhibition space for artists, crafters, and designers. Each artist is carefully hand selected every month. Quality is consistent, but merchandise definitely isn't limited. 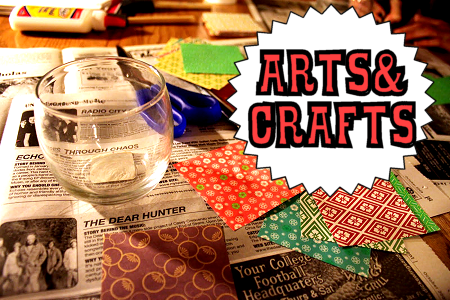 You'll find art, books and zines, ceramics, clothing, accessories, housewares, jewelry, paper goods, craft supplies, toys, kids, and vintage. 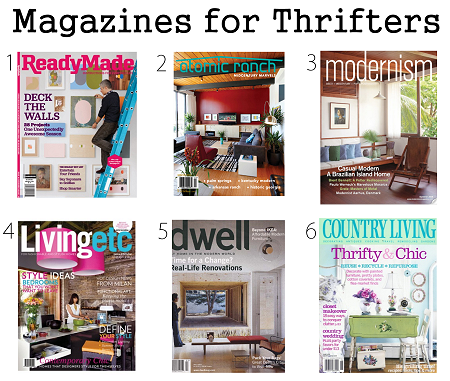 I heard of a service called Mag Hound that allows subscribers to choose any magazine of their choice each month. Sounds like a great gift to me. I may have to start an "online shop review" feature, there's so many out there that I admire. 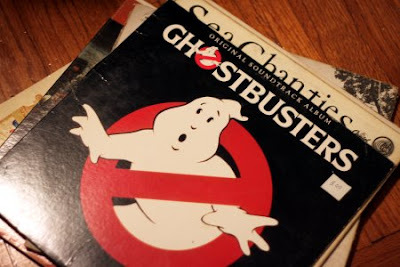 This weekend's thrift hunt was a bust. I found a Calvin and Hobbes comic book, biology book, and a book on "why cats paint". I decided to spare you banal shots of books and instead share some thrifted christmas gifts I'm giving out this year. A stack of thrifted interior design books for my sister-in-law, who just bought a new house with my brother this year. A little casita for my mom, she collects these things. She definitely won't mind the small chip. 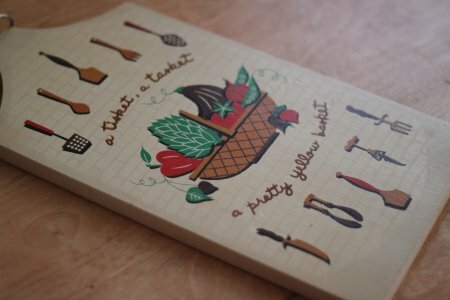 Cutting board for my friend who loves cute kitchen assessories like this one. 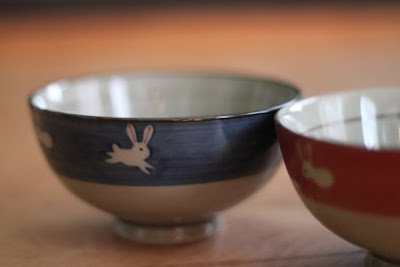 Small Japanese bunny bowls for another friend who's been coveting my simular rabbit teacups. 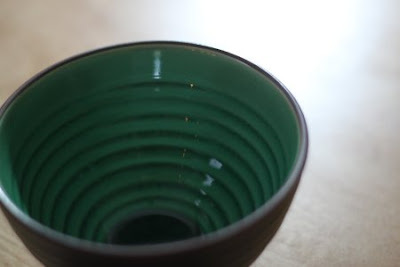 This small Japanese-style bowl was the perfect thing for my friend, this is his favorite shade of green. He's also getting a small Buddha and dragon figure, he collects little guys like these ones. 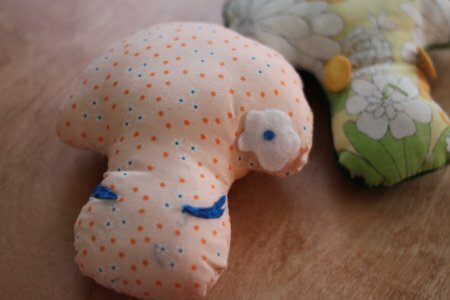 Plushies! These two and other simular ones for my nieces and friends. The ones for my neices were already wrapped up when I took these pictures. 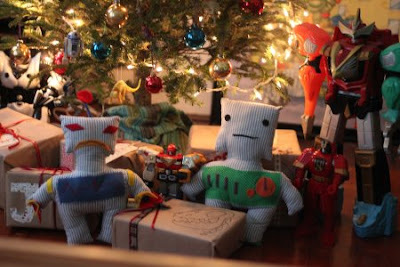 Two robot pillows for my nephews, I love making these little robots. They are incredibly comfortable pillows despite appearances. * If you order The Find, let Stan know and he will send you a personalized bookplate! What Thrifty Reads do YOU Recommend? 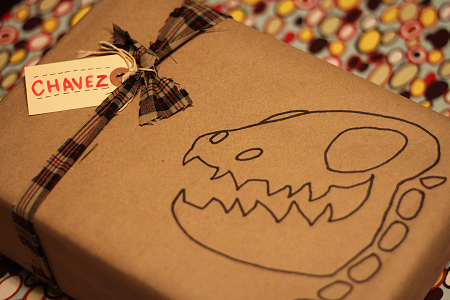 I like to keep things simple when it comes to gift wrapping. 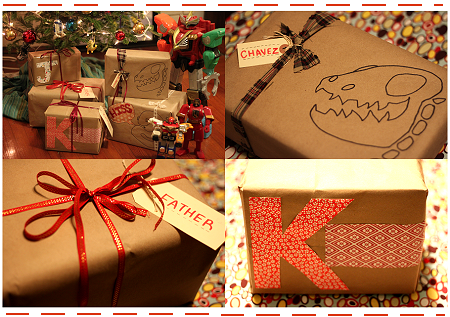 This year I used brown paper bags and inexpensive postal wrapping paper (dollar general) for a clean look. From there I embellished with paper and fabric scarps, thrifted ribbon, magazine cuts outs, and other bits. 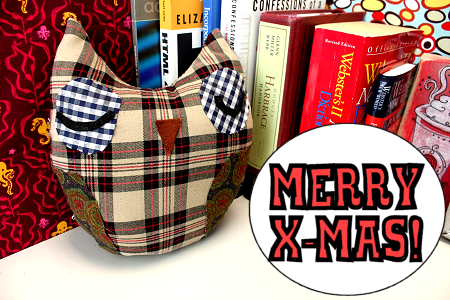 Consider some of these thrifty options for wrapping gifts. Beautiful Japanese wrapping method using fabric: Video//Techniques//Quick Guide. How do YOU Wrap Gifts for the Holidays? Daily thrift updates, information, and inspiration. Follow Thrift Core on Twitter and Facebook. 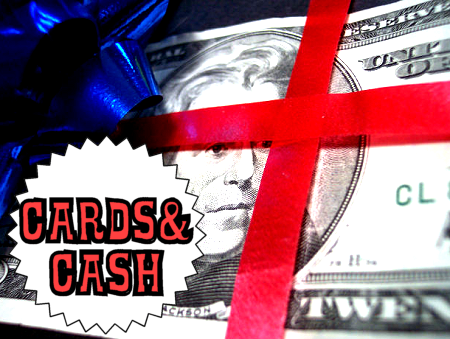 Personal finance blog Get Rich Slowly asked readers: Is it okay to buy a Christmas gift from a thrift store? For us thrifters the answer is a resounding "YES", but it's it's easy to forget that consumers still stigmatize second-hand shopping as something tacky or dirty. One word. Bedbugs. They’re back in a big way. I do not get anything from thrift, vintage stores that can’t be properly sanitized. Purses fall into that catagory so I wouldn’t be happy with a used handbag no matter how nice. i guess i’m spoiled but i would be horrified if someone gave me used thrift-shop purses and would probably spend the rest of the day crying (i get a little too upset over poorly-chosen gifts sometimes). my first thought would be if money is that tight that you’re gift shopping in thrift stores instead of proper stores, why couldn’t you have gotten something less expensive but new? I've given second-hand gifts to thrift store haters (like the ones above) to rave reviews using the rules below. 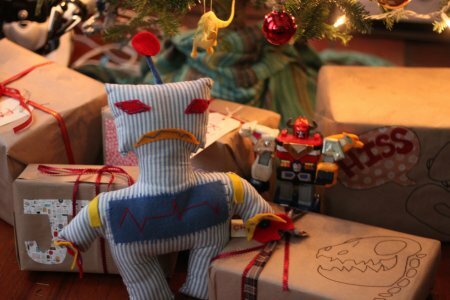 Many still have no idea these gifts were from the thrift store. Good thing they don't read this blog! Everyone has a different philosophy on what is okay or not okay to buy second-hand for themselves and for gifts. My rules are simple and practical. 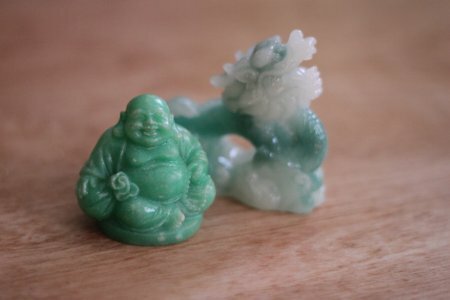 Useful Treasures: Only buy what will really be treasured and/or used. Be creative. Avoid chipped/damaged items: Friends/Family might not appreciate chipped plates. 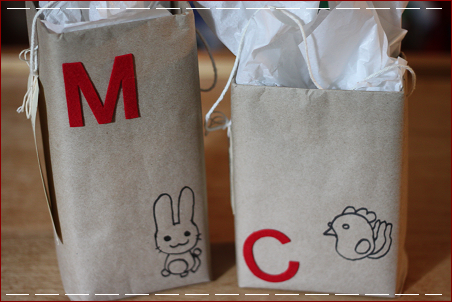 Presentation: Clean up your gift and present it well, small details make a huge difference. 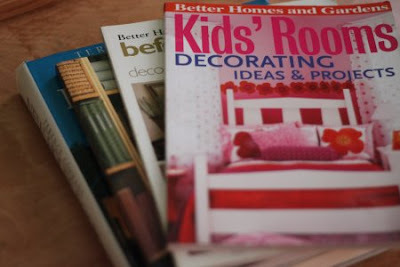 Must Read: The Elegant Thrifter's regular Gift of Thrift posts are creative and inspiring. 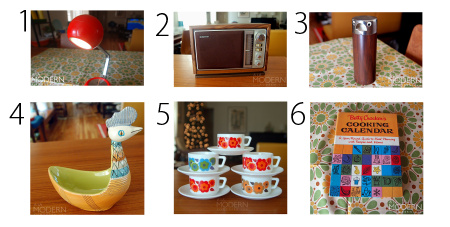 I'm still hunting for vintage holiday bits and items from my thrift list. 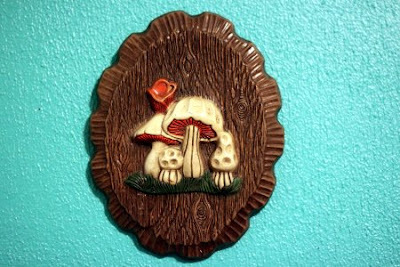 My favorite find of is the retro mushroom plaque above, it inspires me to make some mushroom art. 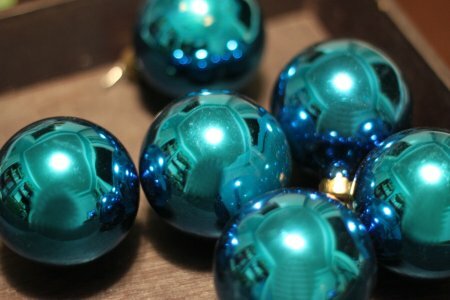 I wanted some blue ball (tee-hee) Christmas ornaments for color contrast on my tree. I had to replace work shoes again. I'm probably too rough on mine, good thing they're affordable. They're both a bit banal but they get the job done. I finally went to the Quiggly House thrift store (where I found the records above and VHS tapes below). 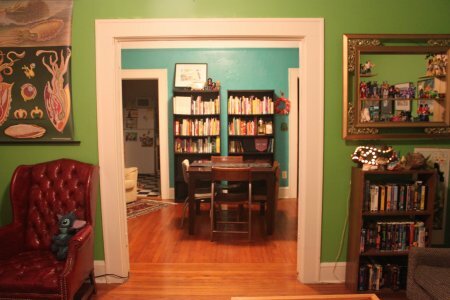 I wrote about it in my first post and my 7 Things I Love About Thrifting post; I thought it was closed, but local readers commented and e-mailed to let me know it lives! Never visit this thrift store during peak Orange Park traffic hours during the Holiday season! That was painful. My weird VHS tape grows by the day. 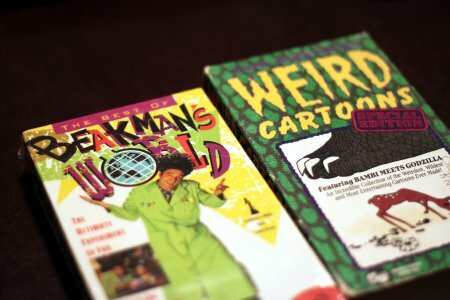 Beakman's World was still shrink wrapped! Can't wait to watch it! I try not to buy books (I need to read all the ones I own first) but couldn't resist these two.